July 17, 2017 – Beginning in 1951, the era of nuclear weapons testing was a time of tremendous change at both national and local levels. 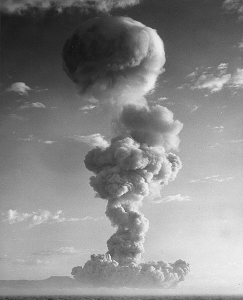 In the name of national security, a variety of nuclear weapons were tested in a remote area of the Nevada desert known as the Nevada Test Site. Fallout and radiation from these tests have affected communities across the nation, in many cases resulting in the loss of property, health and life. The University of Utah’s J. Marriott Library created an interactive, geospatial archive that depicts the story of Utah radioactive fallout related to atmospheric nuclear testing at the Nevada Test Site. Previous articleIs this Gulf of Mexico tubeworm the longest living animal in the world?